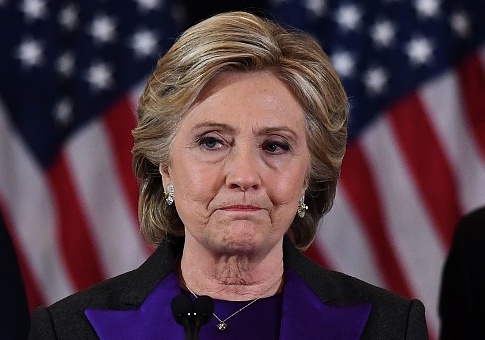 Hillary Clinton turned to "alternate nostril" breathing to help cope with her stunning 2016 presidential election loss to Donald Trump. Clinton revealed the various "tools" she relied on to get through the disappointment of losing the election at a fundraising event last Thursday to benefit Camp Olmsted. She said she relied on prayer, the support of friends, and spiritual readings. The former secretary of state also revealed the more unorthodox methods she used. "I did some yoga. I tried alternate nostril breathing. I highly recommend it. It kind of calms you down," she said at Riverside Church in New York City. "And, yes, I had my fair share of chardonnay." Alternate nostril breathing is a technique meant to calm the mind and alleviate stress. Breathing exercises are a fundamental part of yoga. Pranayama, the specific discipline that deals with controlling your breathing, comes from classic Indian yoga and has been around for centuries. It can be translated to "the control of the life force." Apart from alternate nostril breathing, there are also practices to breathe in deeply and expel the breath quickly; ones that focus on feeling the motions of your stomach while you breathe; and ones in which you hum or chant while exhaling. Clinton's public appearances discussing the 2016 election continued into this week. She most recently appeared on ABC's "The View" and NBC's "Today" on Wednesday morning.